RYANAIR AVIATIONS MOST EXPLOITED AIRLINE WORKFORCE .We are in no way affiliated with Ryanair. : FRENCH AIR TRAFFIC CONTROLLERS STRIKE OVER SAFETY OF PASSENGERS..RYANAIR PUT PROFIT OFF PASSENGERS FIRST. FRENCH AIR TRAFFIC CONTROLLERS STRIKE OVER SAFETY OF PASSENGERS..RYANAIR PUT PROFIT OFF PASSENGERS FIRST. THIS BLOG IS IN NO WAY AFFILIATED WITH RYANAIR. Ryanair Europe's largest airline will never put safety as priority. Let us not be fooled into thinking Ryanair care about the welfare of the flying public.Look at how bad they treat their probationary cabin crew.Ryanair's CEO Michael O'leary is a provocateur trying to turn the public against the French air traffic controllers. Let us look at some few facts regarding the French air traffic controllers Strike which Ryanair fail to mention. The French air traffic controllers union UNSA-ICNA who are involved in these strikes are not being listen too by Ryanair. This latest Strike being the 42nd in total relates to Safety Issues which Ryanair fail to inform their flying customers. The job of air traffic controller in simple terms,is traffic lights in the skies. We all see the importance of traffic lights when driving our motorcars in reducing the accident rate in daily tourneys by car. As traffic lights are set by computers with a central base being a traffic HQ which monitor our roads. 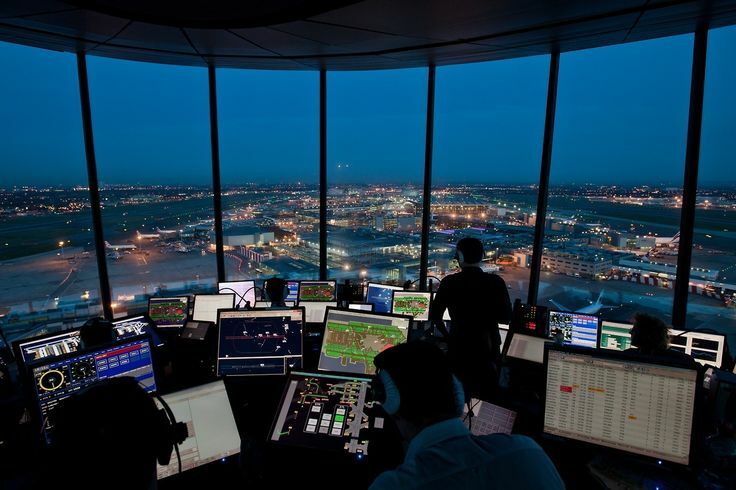 The very same happens in air traffic control central base ,which are based at airports all across Europe. The French air traffic controllers have been in dispute since 2009 with the computer systems they are working with not being updated.Computer technology improves massively in most sectors,more so in aviation so the French air traffic controllers feel this lack of investment in latest technology, that other airports have, could be putting the safety of aircraft in our skies at risk.They also oppose the plans to slow down the rate at which retiring staff are replaced which is putting more pressure on their jobs in air traffic control.The manpower is 20% lower with older technology but increased flights.They are talking about passengers safety here NOT profit,which Ryanair fail to mention.Ryanair's priority is their share price which intail leads to profit,"DO NOT LET RYANAIR FOOL YOU". Ryanair use the stranded abroad holiday makers to break these strikes which is all about Safety. Look at one of the newspaper headlines. Ryanair have set up a petition to break these strikes by French air traffic controllers with their main priority being profit not safety.The public need to wake up and fully support these air traffic controllers who are putting the safety of passengers first. TO 'KEEP EUROPE'S SKIES OPEN.. Cutting landing fees at airports,in most cases Ryanair are paid subsidies at Airports to land their aircraft there. Time for the public to open their eyes and support the French Air Traffic Controllers who are putting the safety of passengers first. How ironic for Ryanair to be talking about stranded holiday makers abroad when in 2008 Ryanair's shell company after terminating the contract of my 18 year old daughter in Dublin,left her penniless ( Ryanair shell company kept her last months salary) with no flight home to Liverpool.. Ryanair will use any means to attack union's as Ryanair believe workers should Not have any workers rights whatsoever. "RYANAIR TAKE A WORKS HUMAN RIGHT AWAY"
John Foley, le Don Quichotte de Ryanair..